“We need to scale!” There are many buzzwords in business that fly around and “scale” is one of them. Hey, I have nothing against the premise of building a more efficient business that is built to last. I’ve been hired based on my experience to help scale customer success teams. I rely daily on tools and processes that help our team scale. The trick is realizing that not everything can scale – especially for those that work in customer success. This post was inspired by Paul Graham’s rant “Do Things that Don’t Scale.” He lists a number of areas that don’t scale that include recruiting and delighting customers. I agree 100% with his perspective. There are things I do on a daily basis in my role as a customer success executive that don’t scale nor should they. Are they the right things to do? Maybe. But I know that they have led to success in the past and have resulted in high customer satisfaction rates as well as a motivated and driven customer success team. They were some of the foundational elements that helped propel start-ups like Eloqua and now Influitive. Manual checks on clients. I’m constantly checking up on our clients and this isn’t reviewing the overall customer health dashboards. I dig into a few clients each week to see how they are using our application. For example, I check to see that the style of wording that a client uses is appropriate when they communicate with their clients. Why do I do this? Because I know that if our clients are following bad habits and communicating poorly with their clients, they will not reach their goals and their overall satisfaction will decrease. I use the information I gather from these checks to initialize a personalized communication with clients. I’m not talking about saying “hope all is well”. The goal is to provide something of real value in each client interaction. For example, I knew that one client was extremely busy and had an upcoming event that they needed assistance with. I reached out and provided a solution and they were very receptive to meeting to discuss my ideas.These actions set a high bar within the Customer Success (CS) team. You are communicating that you don’t let any details go unnoticed and provide advice to customers before they ask for it. This attention to detail is what separates the good customer success teams from the great ones. Send something in times of celebration and mourning. This includes our clients and my team. In my position, I typically don’t send the items myself unless it’s something I can easily order online. However, I do ensure that we don’t forget to send something. It’s these types of interactions that show that you are human and that you truly do care. Conduct weekly 1:1 meeting with my team. There is no better way to understand the challenges of your team, the opportunities that exist and the sentiment of your clients then by conducting regular 1:1 meetings with your team (or manager). Your team should be inspiring and energizing you while you keep them focused on carrying out their established goals. These 1:1 meetings are time consuming but they are worth it. If they are done properly with agenda items and actions they will be some of the best time that you spend each week. Visit clients in person. Visiting clients in person is crucial to cementing your relationship with your customers and really getting to know the issues that face them. 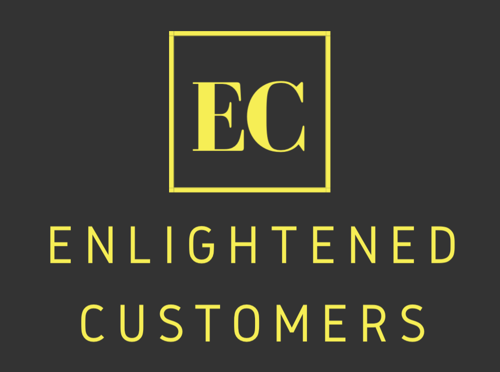 Jason Lemkin wrote an excellent post on this topic: Want Happy Customers? Implement the 5-Visits-Plus-2-Badges Rule. For Your Customer Success Team — And You. Connect and engage my social media network. The first thing I do when I wake up is to check LinkedIn contacts and review the updates of contacts in my LinkedIn network. Who has been promoted? Who has changed positions? Is it anyone’s birthday? Has anyone sent me a note? I then reach out to as may people as I can to catch up and pass on my congratulations. I do a quick check on what is being said on my network across LinkedIn, Google+, Facebook and Twitter. I scan articles quickly and then favorite, like, share, +1 and retweet certain items. I use Pocket to save the items I want to read in more depth later on during my commute. I’ve created Twitter lists of my co-workers, former co-workers, industry gurus and customers. I randomly choose to flip through different lists using Flipboard. I find it an easy way to quickly scan what is being said. I’ll also search for our company name and add new clients to my list on a regular basis. Stay informed and stay connected. Submit new product features and meet regularly with the product team. In many ways, the Customer Success team is the last line of defence of the customer. It’s important to create a culture of constant improvement and to encourage your team to bring forward product improvements and point out issues. As the leader of the CS team, I set the example and am constantly passing on ideas and bugs to our product team based on what I hear from clients and based on my own experiences. Always stay connected to the state of the product and the new features being planned and launched. Read through all customer feedback. I always enjoy reading through customer feedback from support satisfaction and NPS surveys. At Eloqua, I was one of the only people that would read through every single survey response within a day or two of receiving them. It helped shape and validate my priorities and it was also part of the manual checks I did. If someone took the time to provide feedback, I’m taking the time to read it. Sure I used tools to help narrow down where I should focus on but it was always the comments and not the satisfaction scores that were more important. It told me which of my team members were going out of there way for customers or which features were not performing well. I also knew that not many people read these surveys so I was sure to pass on feedback to a team member so they knew that clients appreciated what they did when they were mentioned by name. That also doesn’t scale but it’s worth every second. Create content for our blog and knowledge base. We have a content marketer that can blog. I have a Support team that can write knowledgebase articles. Why should I spend time creating content? There are many reasons. The obvious reason is that I enjoy it and can add value to customers and other readers. As a leader, you need to set the example. Similarly to providing product feedback and to setting a high standard with manual checks on clients, if you want people to do something, be prepared to do it yourself. So those are the things that I do that don’t scale. 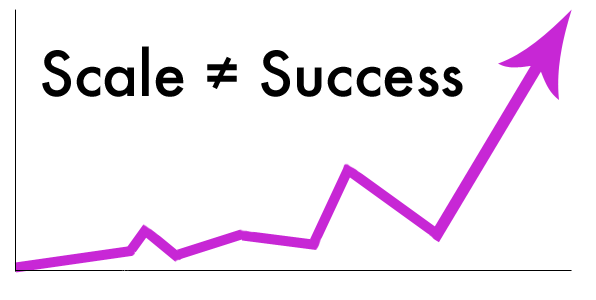 I’d love to hear about your list of things that don’t scale. Which items do I do that you disagree with? Are there items that you think I should automate or delegate to others? Thanks for reading and hope you found this useful.